Like most little boys, Dylan McCoy was playing in his backyard on Friday night. He had started jumping on a rotting piece of plywood in the back garden of the house, not realizing what was underneath. Then, the board gave way and little Dylan plummeted down the 125-year-old well. 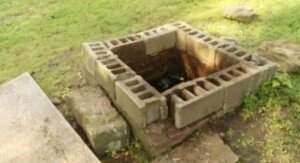 The depth of the well was 40 feet. At the bottom was 10 feet of water. Young Dylan struggled to keep his head above the water and started screaming for his father. Dylan’s father, Jake, heard the cries of his son. At first, Jake had tried to lower a ladder into the well but soon realized that it didn’t reach far enough down the well. Once Jake reached Dylan, he took him over to the side of the well. There was a ladder at the side but it didn’t go all the way up. 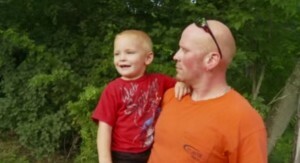 Father and son were stuck at the bottom with Ashley McCoy, Dylan’s mother, worried. Eventually, firefighters were able to pull Dylan up to safety using ropes. 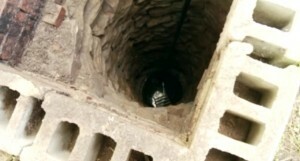 Once Dylan was out safely, Jake climbed out of the well on his own. The family is very thankful that the outcome was positive. Mother and father reported that they think the outcome could have been very different, had Dylan not learned how to swim earlier that summer. Dylan’s father also reported that he would soon cover the well with a concrete slab to prevent any future accidents.